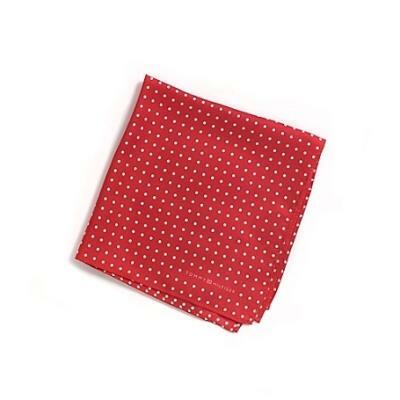 If you're all about relaxed dressing when it comes to fashion, you'll love this easy combination of a charcoal cotton blazer and a Tommy Hilfiger red and white polka dot pocket square. 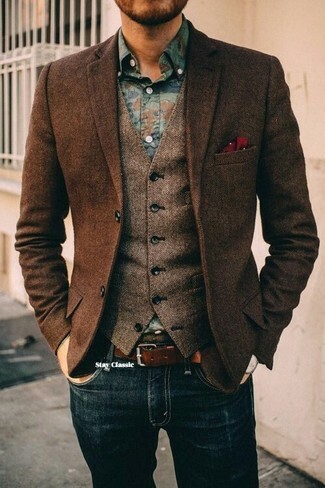 Go for a pair of tan suede desert boots for a masculine aesthetic. 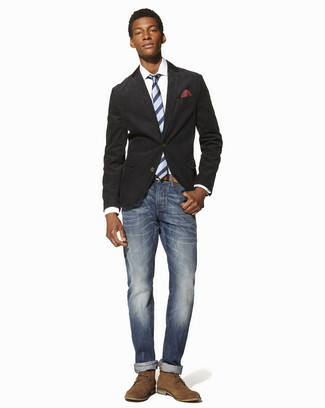 If you're looking for a casual yet stylish outfit, choose a navy double breasted blazer and a Tommy Hilfiger Classic Dot Pocket Square. As well as super comfortable, both items look great together. 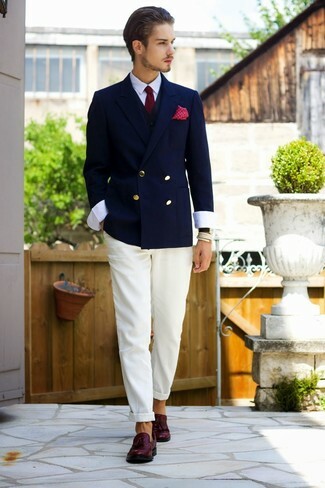 Channel your inner Ryan Gosling and opt for a pair of dark purple leather tassel loafers to class up your ensemble. 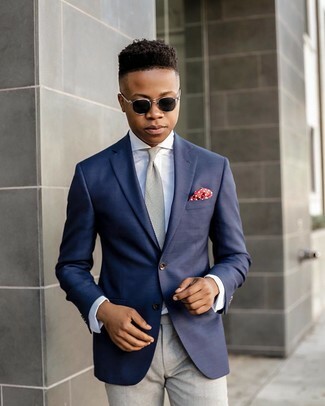 We all look for comfort when it comes to dressing up, and this combination of a navy blazer and a red and white polka dot pocket square is a great illustration of that. 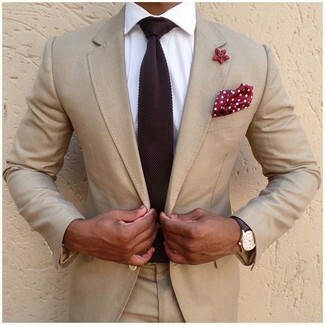 If you're after a casual yet seriously stylish getup, choose a beige suit and a Tommy Hilfiger Classic Dot Pocket Square from Tommy Hilfiger. These items are very comfortable and look wonderful together. 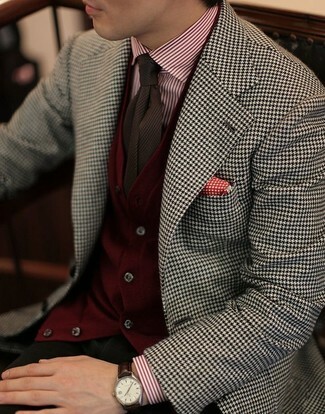 If you love staying-in clothes which are stylish enough to wear out, try this combination of a dark brown herringbone wool blazer and a red and white polka dot pocket square. If you're a fan of relaxed dressing when it comes to your personal style, you'll love this on-trend pairing of a white and black houndstooth blazer and a Tommy Hilfiger Classic Dot Pocket Square. 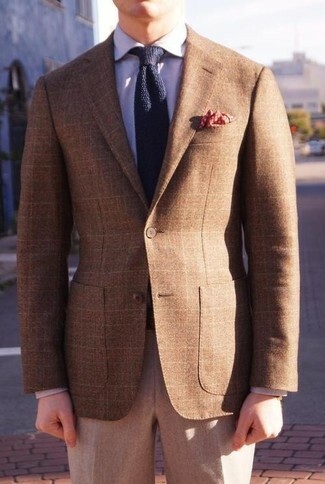 If you're a fan of relaxed dressing when it comes to your personal style, you'll love this on-trend combo of a brown plaid blazer and a red and white polka dot pocket square.